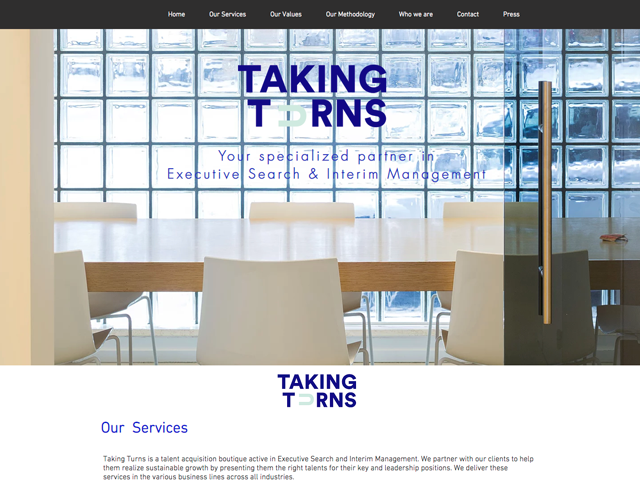 Taking Turns is specialized in Executive Search & Interim Management. Taking Turns is a talent acquisition boutique, specialised in finding the right people for your executive and key positions as well as for your temporary needs. At Taking Turns, it is the love for the job that gives us the burning energy to continuously dialogue with our clients and talents about human capital, employer branding, career development, that next step... in the end, it’s all about taking the right turn!